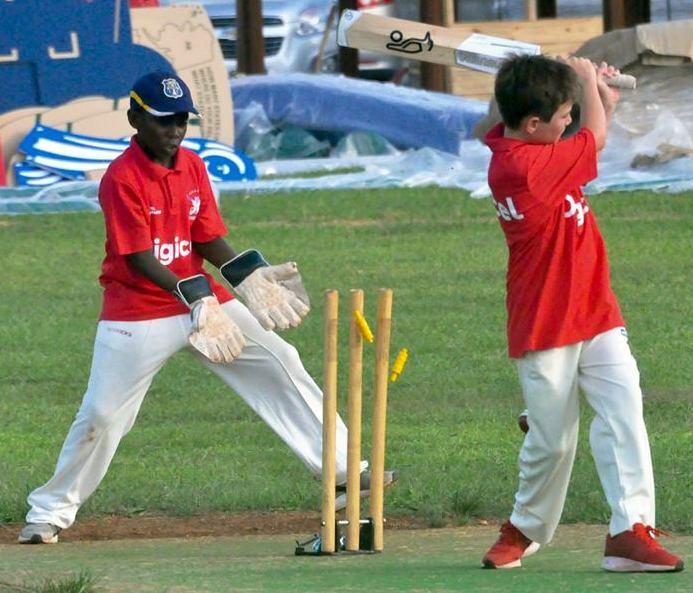 The Bailey's Bay Cricket Club were crowned the Digicel Under 12 Summer League Champions. Bailey's Bay scored 97/2 after 15 overs and then restricted the Barracudas to 86/6 after 15 overs. Bailey's Bay MVP was Jutorre Burgess, while Khymai Richards Huge was named the Barracudas MVP. The Digicel Under 12 Summer League Plate Final was won by St. David’s Cricket Club after they defeated the Sharks. The Sharks went to bat and managed to score 71 all out in 12.4 overs. Gus batted well and was the top scorer with 19, while some excellent reflex catches behind the stumps from Zakai Minors dismissed 3 players. Both Ayr Cannonier and Z’naz Jones took 2 wickets. SaQui Robinson also bowled well taking 1 wicket for 2 runs in 2 overs. In reply, St. David’s crossed the score in 14.2 overs. It should be noted that the Captain Ayr Cannonier opted to send all of his younger, smaller players to bat first, leaving the more experienced players at the end. In the end, those ‘senior’ players had to step up to guide the team to victory. Robinson came in and scored a quick 13. Once he departed, Sharks only needed 1 wicket for victory. The last two batsmen to the crease, Sheun Simmons and captain Cannonier were able to steady the ship guiding St. David’s to victory scoring 5 not out and 11 not out respectively. Xavien James bowled 2 overs really well taking 3 wickets 10 runs. Rakeem also bowled 2 good overs taking 1 wicket for 6 runs. Ben, Adam and Gus took a wicket each.